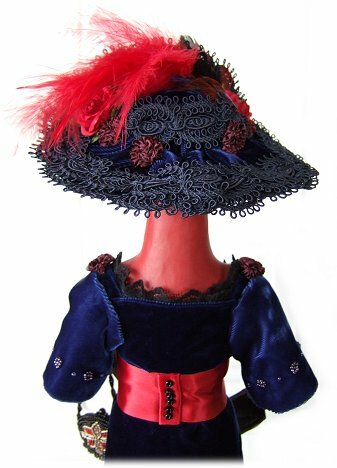 This doll is handsculpted with no molds used, and is a one of a kind art doll. The head is sculpted of polymer clay over a wire and foil armature for strength. The body is cloth and batting over wire armature. The feet are sculpted from clay, painted and glossed, with cloth embellishments added. 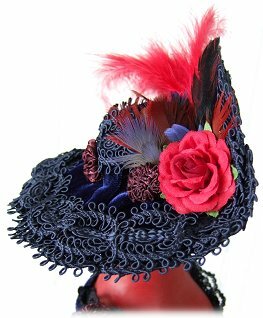 This elegant Eclectus lady is wearing an Edwardian inspired gown of brilliant blue-violet, similar to the plumage that these stunning birds are known for. The dress has accents of red and black. She carries a beaded purse. The doll comes with a wood base with a wood rod to keep the piece stable. 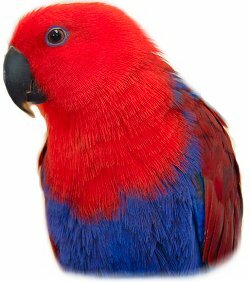 Meet the inspiration for "Lady Eclectus", Kaleena, a Soloman Island Eclectus parrot. 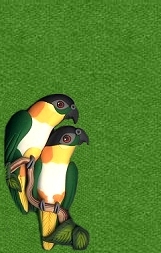 Alicia was inspired by the stunning colors and features of this unique parrot species, and began making this piece even before she had Kaleena. 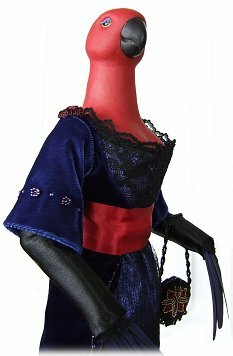 The blue feathers around the bird's eyes looked like bright makeup- so the doll wears "eyeshadow" in that color. 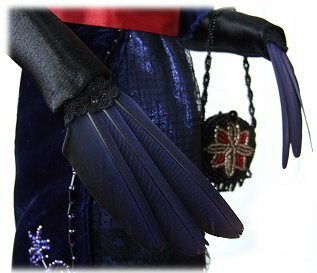 Kaleena was happy to donate her own molted wing feathers for the doll's "hands" and a few for the hat as well.